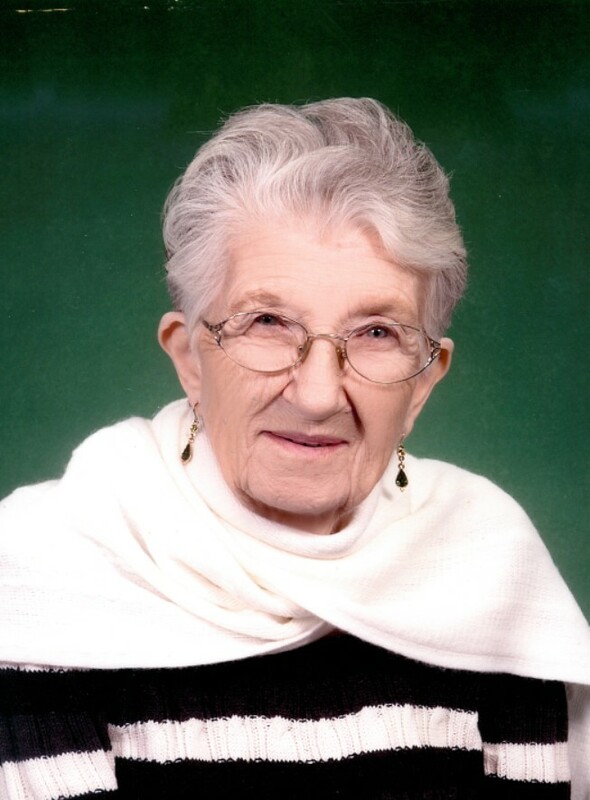 Nada Jean (Manley) Bledsoe, age 89, of Ozark, MO, formerly of El Dorado Springs, MO, passed away February 10, 2017, at Riverview Care Center in Ozark, MO. Nada, who often went by Jeanne to her family, was born January 31, 1928, in Olathe, KS, to Jesse Lee and Mary Ellen (Miller) Manley. They moved to Illinois where her father worked in the oil field. She went to school a short while in Illinois, and then after the tragic death of her father, they moved to El Dorado Springs in 1939, where she went to school till the 8th grade. Mrs. Bledsoe always wanted to teach school. She met and married Thomas Edward Killion on Nov. 3, 1946. They had three children: Larry, Kathy, and Carol Killion. Ed passed away June 11, 1956. In May, 1969, Nada married Cyrus Hickman Bledsoe. Nada was a hospital aide at Nevada State Hospital for about ten years after Cyrus’ death in Jan. 1984. Nada opened her home to foster care and had four handicapped children during this time. Later she sat with the elderly and retired in 1999. Nada loved to play cards with her family and cook out by the lake and rivers. Preceding Nada in death were her parents; two brothers: Lawrence and William Manley; three sisters: Mildred Blagg, Doris Manley, and Donis Meeks; her first husband Ed; second husband Cyrus; her son Laurence; her daughter Lena Katherine; one grandson; and one great-grandson. Nada is survived by her daughter, Carol Killion-Clemons and and husband Elton Clemons; a step-son Steve Bledsoe; three step-daughters: Patty Bledsoe, Carolyn Bledsoe and Sharon Bledsoe-Young; eight grandchildren; thirty-five great-grandchildren; thirteen great-great-grandchildren; and several nieces and nephews. Funeral services for Nada Bledsoe will be held on Friday, February 17, 2017, at 2:00 p.m. at Bland-Hackleman Funeral Home. The family will receive friends on Thursday evening from 6:00 to 7:00 p.m. at the funeral home. Following the service Friday, burial will be in Love Cemetery under the direction of Bland-Hackleman Funeral Home. Pallbearers will be: Tommy Simmons, Marvin Simmons, Bill Manley, Rick Manley, Kendall Clemons, and Brian Moeller. Honorary pallbearers will be: William Clemons and Bruce Manley.